No, it is not Berlin circa 1973. 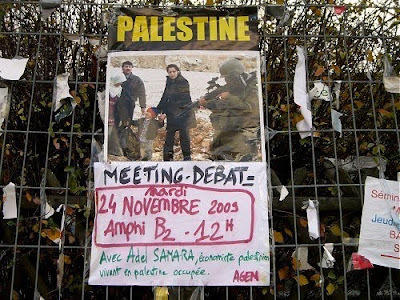 It is the Université Paris X, Nanterre, whose alumni include French president Nicolas Sarkozy, International Monetary Fund managing director Dominique Strauss-Kahn, and Daniel Cohn-Bendit, co-president of the European Greens–European Free Alliance, and all the photographs were taken by me in November 2009. 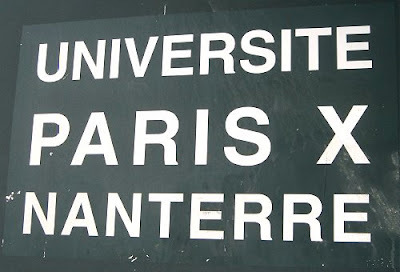 Université Paris X, Nanterre was established on the western outskirts of Paris 1964 and is today overshadowed by the adjacent La Défense business district. 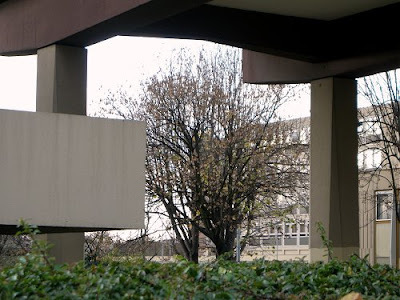 The barely finished campus was one of the flashpoints in the May '68 student rebellion and earned the nicknames 'Nanterre, la folle' (Mad Nanterre) and 'Nanterre la rouge' (Red Nanterre) due to the university's left wing allegiances. Daniel Cohn-Bendit, who was studying sociology, led the initial protests at Nanterre in March 1968. These started with a demand that male and female students should be free to cohabit on the campus and spread into nationwide riots in May of that year. 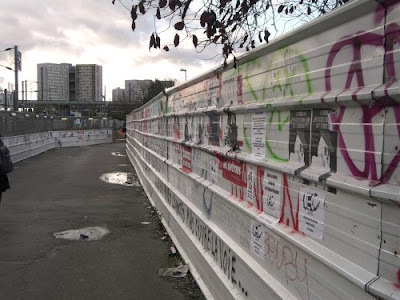 Nanterre, which despite being the alma mater of prominent centre-right politicians Nicolas Sarkozy and Brice Hortefeux continues to be aligned with the political left, epitomises the creative and cultural tensions that make France unique, and which probably explain why it features so frequently On An Overgrown Path. Another important factor in France's cultural uniqueness is l'exception culturelle. This piece of Gallic dogma, which the organisers of Les Orientales festival explained to me last summer is under increasing threat from President Sarkozy's free market policies, protects the arts from the hegemony of the markets and buffers them from the full impact of commercial pressures. 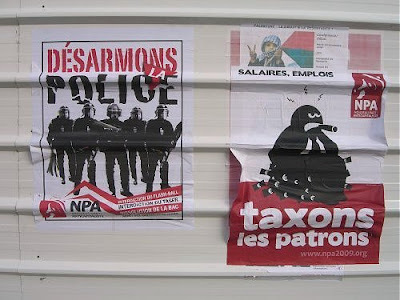 L'exception culturelle has many manifestations, and attracts as many critics as supporters. Radio stations are required to play at least 40% locally originated music with French or French dialect lyrics, and at least half of this must come from new talent or have been released in the last six months. Station output is monitored by the Conseil Superior de l'Audiovisuel which can fine or remove the license from stations not meeting the quota requirements. The law mandating local music content, which was introduced in 1996, was met with vociferous opposition from commercial stations. But the result is that there is now an awful lot of French lyrics on the radio, even if many are translated from English originals. Classical stations are exempt from the local music requirement and France Musique, which broadcasts classical and jazz, and France Culture are part of state controlled Radio France. Musicians in France who are judged to be creating 'works of the mind' (that must be an interesting criteria to define) are granted the status of intermittents du spectacle which entitles them to a range of benefits including full social security. French television includes two State owned channels which are funded by an annual license fee. To protect the heavily subsidised local cinema industry terrestial television cannot broadcast feature films before 11pm on Saturdays. Although doubtless well-intentioned the French broadcast controls seem to have had little impact on programme quality and France Musique now shares that arid no man's land between art and entertainment with BBC Radio 3 and other classical stations around the world. The provision of fiscally funded creative subsidies is probably the most beneficial aspect of l'exception culturelle, although heavily taxed French residents and businesses may disagree with that view. Many of the French festivals, creative residencies and recording projects that have featured On An Overgrown Path have benefitted from l'exception culturelle. A new arts project brought to you courtesy of l'exception culturelle is seen below. 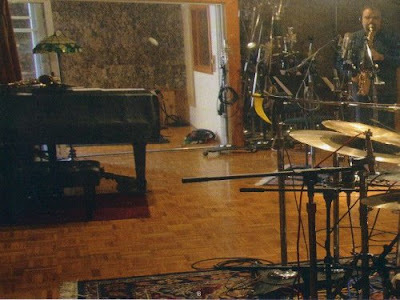 Raphaël Imbert's New York Project CD carries the legend 'soutenue Ministère de la Culture et Communication' - supported by the Ministry of Culture and Communication - as does his Bach Coltrane recording which featured here in 2008. As well as acknowledging the main backer there are four other credits for French state agencies on the sleeve of the New York Project, which is seen below. The new disc comes from Zigzag Territoires who are just one of many innovative independent French labels benefitting from music projects encouraged by l'exception culturelle. Raphaël Imbert's production company Nine Spirits is based in the new Cité de la Musique complex in Marseille which is part of the capital investment provided for that city's tenure as European Capital of Culture in 2013 in tandem with the Slovak city of Košice. Marseille's successful bid (in English) to be European Capital of Culture is worth reading. 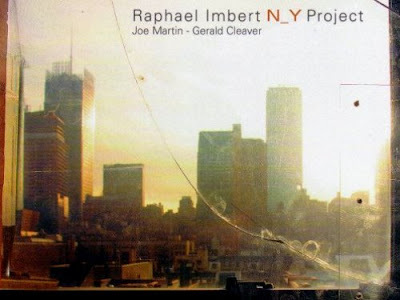 On his New York Project Raphaël Imbert's saxophone is joined by the string bass of Joe Martin and the percussion of Gerald Cleaver in an exploration of the mystical elements of jazz. An eclectic range of musicians are credited with influencing the album, including Duke Ellington, whose Echoes of Harlem is the starting point for track 1, Zim Ngqawana, Albert Ayler, Pharoah Sanders, John Zorn, and John Coltrane whose Central Park west loosely provides the final cut. Some of the track titles give you an idea of what this free jazz album is about - Cloisters Sanctuary, My Klezmer Dream, Struggle for Manhattan's Life and The Zen Bowman, there are music samples here. Despite being a beneficiary of l'exception culturelle the New York Project was recorded at Sear Sound on 353 West 48th Street, New York. So is l'exception culturelle the way to save the arts from the ravages of the free market? Or is it unfair and unnecessary protectionism? The jury is out. But without it Raphaël Imbert's New York Project together with a very wide range of other excellent arts initiatives would never have happened. 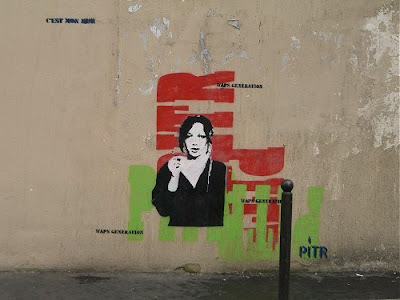 I am indebted to the highly recommended Speaking the Culture - France as a source for this post. With their Speak the Culture series Thorogood Publishing has picked up the ball dropped so ineptly by BBC owned Lonely Planet and competitor Rough Guide, who now limit themselves to recommending the best places to drink skinny lattes worldwide. I bought Speaking the Culture - France in Librairie Shakespeare in Avignon, which itself is living proof of the positive culture created by l'exception culturelle. All photos of Université Paris X, Nanterre were taken by me in November 2009 on my trusty but battle-scarred Casio EX-Z120 and are (c) On An Overgrown Path. 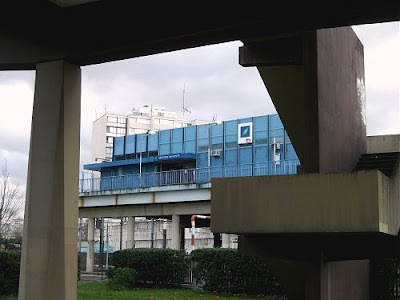 And a little confession, photo 4 was not taken on the Nanterre campus but was shot a few miles away, it just fitted in rather nicely with the sequence. I bought Raphaël Imbert's New York Project in the Harmonia Mundi boutique in Nantes, which has the largest university campus in France - Nanterre is second.